Sherwood Electronics has qualified staff who can help you seek the correct solution to your project. Our in-house production team work closely with customers to transform projects for standard and bespoke products into finished applications. Our ability and expertise to respond to projects from concept to completion is recognised by some of the largest companies in the world. 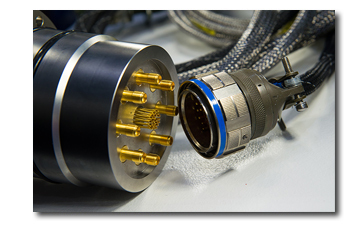 Customers often specify that the cable assembly has additional features, for example: ultra-flexibility, ultra durability, extreme temperature variation, extreme degrees of pressure, cables that can withstand degradation caused by the sea, air or UV rays, Potting and Encapsulation, custom shielding or specific jacketing, moulding, company logos, moulded strain relief grommets and with specific colour requirements. 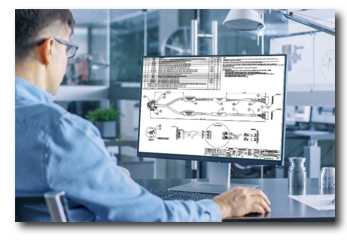 Customers often require assistance in the production of manufacturing drawings ready for production to reduce the workload on their own engineering departments. Sherwood are happy to produce drawings for customers as a one off activity or as part of a contract. All drawings produced in-house at Sherwood Electronics are confidential and are only released on prior authority from the customer. Our ability and expertise to work closely with customers, Means we can offer cost effective solutions or offer alternative options, we can analyse the customer application and advise during the design phase of the project, from rapid prototyping of samples through to pre-production quantities on short lead times, we can ensure the successful completion of customer projects. A rapid prototyping sample service is provided by Sherwood Electronics prior to production, we provide a First off sample for evaluation and a first off sample report document. If the samples are acceptable the customer can sign and e-mail a copy of the document confirming the samples are approved and production can commence or can also e-mail the document and list the required changes that need to be changed on the assembly to meet the customers required specification. Once approved the documents are retained on file and production can commence and final delivery to the customer. Sherwood Electronics can provide on-site customer support within our customers R&D and Engineering departments providing advice regarding the customer application if required. 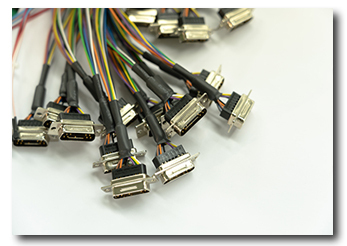 Our In House Cable Assembly Solution services are not limited to wiring harnesses. We can also advise on standard and bespoke products in our connector ranges, see the Sherwood connectors on-line catalogue for more information on all the connector ranges available. The Sherwood Electronics on-line catalogue offers Engineers and Buyers a comprehensive reference guide to the specification of each component listed. Data sheets, technical data and photographs can be downloaded as PDF files on each individual product. If you feel we could help you in any way we would be pleased to hear from you.